Lord, today we pray for Pastor Yang Hua, imprisoned in China for his faith. Holy Spirit, strengthen, comfort and empower him. Bring your Word readily to his mind, so he may meditate on it and share it freely. May guards and fellow prisoners see Christ in Pastor Yang, and may they turn to you. May truth come out about Pastor Yang’s location and the false accusations the government is using to hold him. 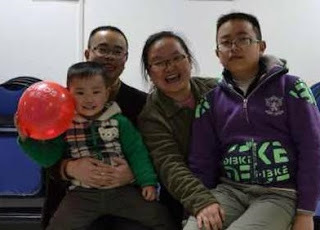 Lord, we also pray for his wife, Wang Hongwu, and their two sons. Please continue to bless them with courage, faith and hope, as they pray and wait. May people rally around them to support and provide for their needs while their husband/father is away. Finally, we pray for their church, Living Stone, to continue to grow in trust while their pastor is away. May the people not live in fear, but be strengthened in their faith when faced with the choice between eternal or earthly security. We place our trust in you; amen.